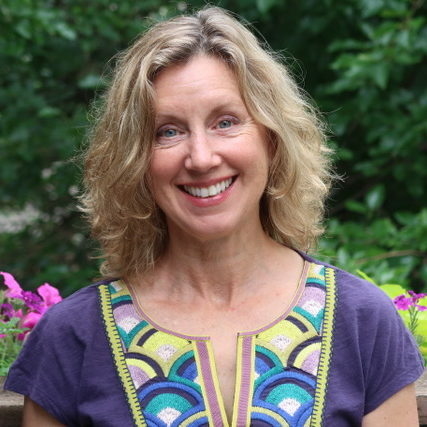 Kelli is an LCSW in full-time private practice in Evanston Illinois. She received her MSW in 1985, and worked with trauma in shelters for battered women, Chicago schools, addiction and eating disorder treatment centers and DCFS. She started private practice in 1993. Her early training and orientation is psychodynamic and systems-focused, but she pursued an interest in melding traditional psychodynamic models with more bottom-up and body-focused therapies, and became certified in EMDR in 2004. She has training in Buddhist psychology and meditation, Interpersonal Neurobiology and Somatic Experiencing and is a meditator and yoga practitioner. She appreciates NARM as a comprehensive, cohesive and respectful model, and for the way it supports her vitality, presence and curiosity. She is grateful to have the ability in her life now to participate in the NARM community and to serve as a Training Assistant and therapist.